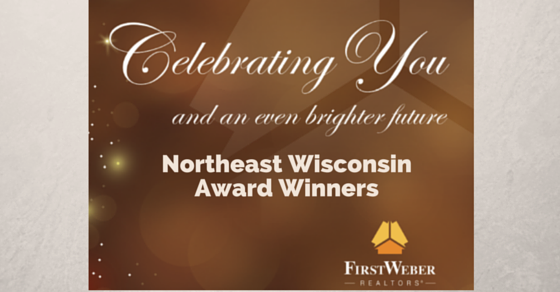 Northeast WI First Weber Award winning real estate agents: Congrats and thank you! Congratulations to the many award winning First Weber agents in the Northeast area of Wisconsin! See the slide share below full screen with the 2 arrows at the bottom. Scroll through to see all the agents who had an outstanding year. You can view photos on facebook here.